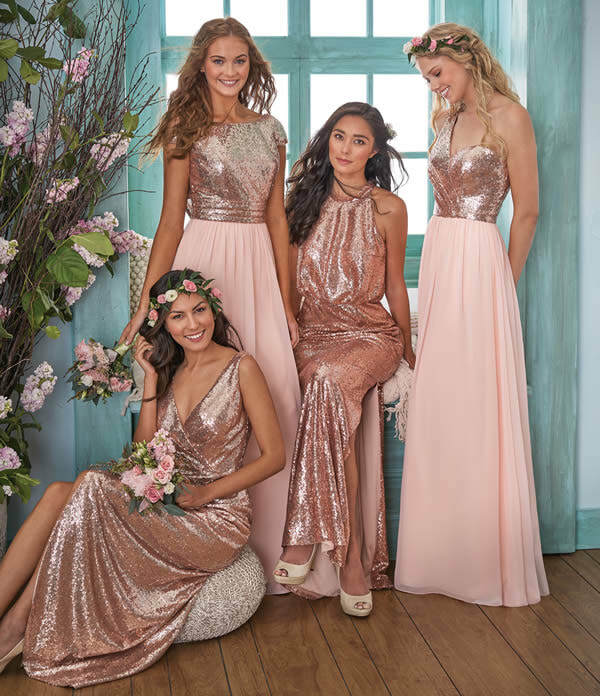 Mix and match bridesmaid dresses are the big trend for 2019 featuring different colours or styles to suit the individual. 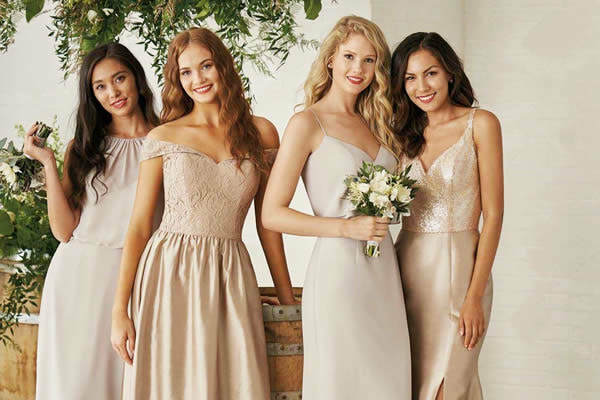 Our B2 and JB bridesmaids dresses allow parties to keep to the same colour or even use a tonal colour palette. Bringing the look together with similar embellishment details will keep everyone looking in sync and each maid happy! 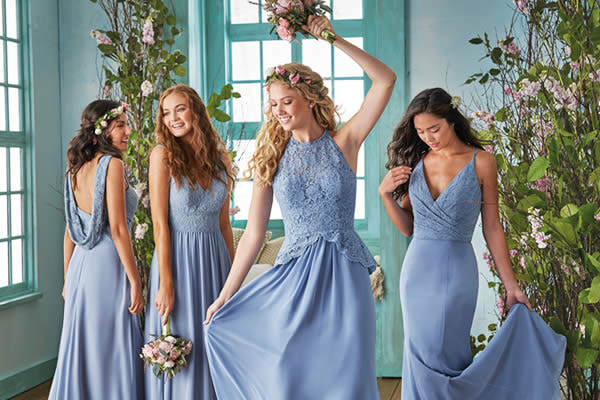 We also offer additional high quality alterations in our boutique for your perfect fitting bridesmaids party.